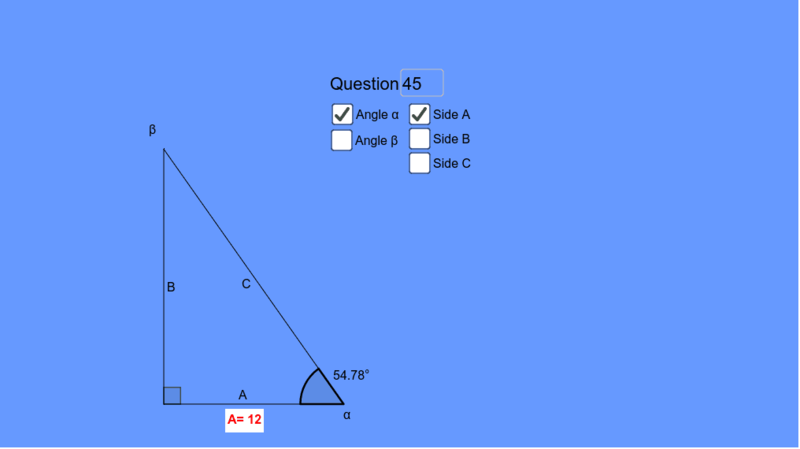 This is a app to help you practise solving trigonometry questions. Step 1. Select a question (type any number in the Question box from 1 to 50.) Step 2. Tick ONLY TWO boxes (1 angle and 1 side or 2 sides) Step 3. Choose a side or an angle you'd like to figure out. Step 4. Use a pen and paper to figure it out. Step 5. Tick the box to see if you were right! Remember to make sure you practise all sorts of different questions. Do a mixture of solving sides and solving angles. Angle Formed by 2 Chords (V1): What Do You See?